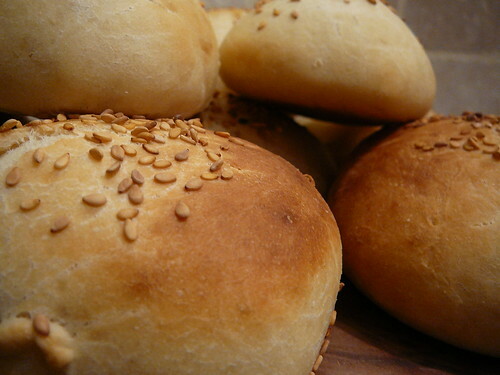 What makes the simple hamburger bun the perfect stage for a juicy hamburger? An airy lightness? The sweet earthy taste and smell of yeasty dough? A hint of shiny brown sugars carmelized onto the surface of the bread in the baking or toasting process? White, wheat, potato? With or without sesame seeds? Or it is merely a delivery mechanism, a way to keep the meat, toppings, and condiments all contained, and all conveniently pick-up-able in an entirely edible package? We are into week seven of the weekly, online, video series “Chemistry Now,” and the chemistry of food is not yet exhausted as a source of interesting video and lessons. As we’ve written before, please view the video, try the lessons, and let us know what you think. Through the Chemistry Now series, NSTA and NBC Learn have teamed up with the National Science Foundation (NSF) to create lessons related to common, physical objects in our world and the changes they undergo every day. The series also looks at the lives and work of scientists on the frontiers of 21st century chemistry. Video: “The Chemistry of Bread” (part of a 6-part Cheeseburger Chemistry series) uses bread-making to illustrate and explain how yeasts work to convert starches and sugars in flour to CO2 gas (fermentation); effects of heat on gas; and gluten protein structures. Middle school lesson: In Bubbles and Bread, students investigate the chemical reactions that form gases and cause bread to rise. High school lesson: This Chemistry of Leavening Agents in Bread Making lesson will enrich student concept knowledge of chemical reactions in a comparative study of leavening agents used in bread making. This entry was posted in Videos and Lessons and tagged bread, lesson plans, video. Bookmark the permalink. Trackbacks are closed, but you can post a comment.